Owe Owe Owe Owe Owe. The spirit of football has been injected into majority of soccer fans all over the world. 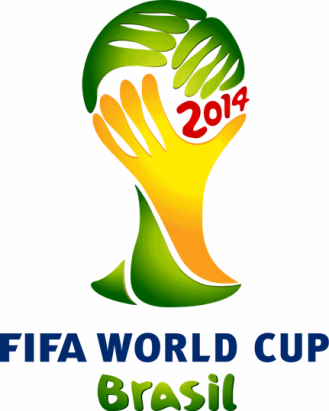 Everyone needs to be updated with the 2014 FIFA world cup anyhow,anytime and anywhere. But the question to this is "How do i get updated with FIFA 2014 Live match details"? I have seen the impact of football both in the lives of the young and the old and i would say that football brings up the spirit of being lively. This post is not going to be length, since this is not a tutorial. The main purpose of this post is to show you where to get the latest FIFA app and to enable you follow your country in this year's FIFA 2014. With the FIFA app, you can get live match details from stadium. No need to hook up in your neigbours crib just to catch a glimpse of the action. You got an andriod phone, iphone or ipad? if your answer is "Yes," then lets get the groove started. Simply download the the FIFA app today for your phones. You can see the list for downloads for the various phones below this post. For Iphone users, download FIFA App For Iphone. The app will soon be ready for balckberry users. Stay tuned to this blog. More actions coming your way in the nearest time.Hit me with your thoughts concerning this post. I'd love to hear from you. I love comments. Hi Mason, thanks for stopping bu. It sure makes sense though. Hope to see you again on this blog. The Android gives you the option of live widgets of different sizes and shapes on your home screen and a clear display of what you want. The iPhone No doubt stands as a looser when it comes to notifications in your home screen.